Rev. Elizabeth is one of the Co-Pastors of Parkside Community Church and has a lifelong history with the United Church of Christ. A graduate of Harvard Divinity School, she brings to Parkside a strong commitment to social justice and a keen desire to be of service to the greater community at large. Rev. Elizabeth previously served Irvine United Congregational Church in Southern California as Associate Pastor. She uses her skills and experience to work with the congregation in expanding our outreach to children, youth, and young families and is helping us navigate the adjustments that the church must make to remain vital to new generations of members. Rev. Elizabeth is married to Rabbi Seth Castleman. 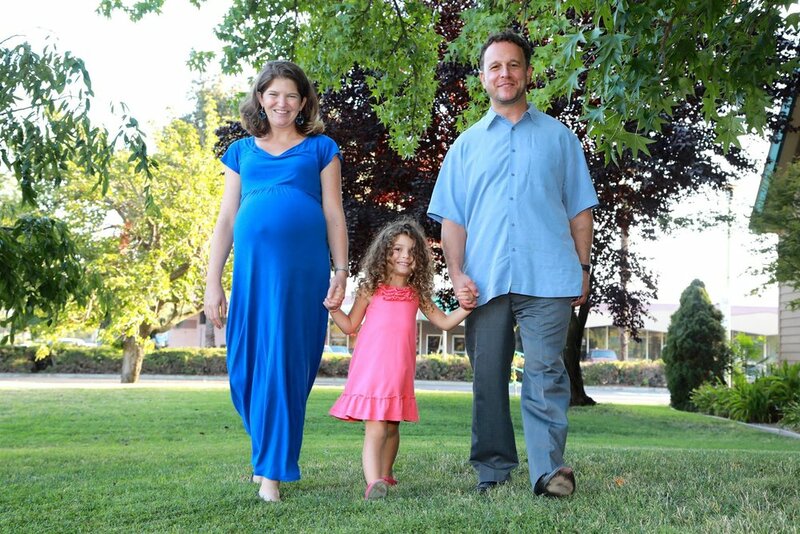 They have a young daughter, Lilah, and a baby son, Abraham, and live as part of a co-housing community in Davis. Rev. Bonnie is the other co-pastor of Parkside Community Church. She began her tenure at Parkside in 2015 as part-time Minister for Families and Young Adults, then Associate Pastor and now, Co-pastor. Previously, Rev. Bonnie served the Congregational Church of San Mateo as Transitional Minister for Intergenerational Education. As a graduate of Pacific School of Religion in Berkeley, she offers expertise in multi-faith leadership, the spirituality of children, process theology and church organizational structure. Drawing from her fundamentalist Christian background, she co-leads several outreach ministries to those spiritual travelers who are migrating out of fundamentalist Christianity. She is thrilled to be working alongside Rev. Elizabeth. Before entering seminary, Rev. Bonnie loved teaching elementary, middle and high school students in various settings for fifteen years. She is a partner to Rev. Raj Rambob, and mom to two young adult sons, Julian and Nik. They share a home in Orangevale.